Things are mostly quiet in the small town of Bebington, so owning a scooter is a great way to make daily trips around town without causing a ruckus. Owning a scooter in Bebington allows you to make trips around the town as much or as little as you like. Here are other reasons why owning a scooter in Bebington is a beautiful idea. Easy to Learn: Riding a scooter is easy to learn, which means you can start cruising around Bebington in no time. Faster in Traffic: Cars can’t slide through small spaces in traffic the way scooters can, which makes owning a scooter in Bebington a great choice. Parking: You may be exempt from parking charges since you can park your scooter in smaller and safer spots compared to a car. Fuel Economy: Both 50cc and 125cc scooters can run for days on less fuel compared to cars or bikes. Price: We get your scooter directly from the manufacturer, which means the prices are lower than what most dealers offer. Finance Options: Our finance options are also customisable to make payment easier for you. Insurance: We help source and compare the juiciest insurance deals for your scooter. Design: Our scooters can be customized to suit your needs, age or preference and come in an array of styles, colours, and sizes. Owning a scooter in Bebington is affordable and straightforward with us. 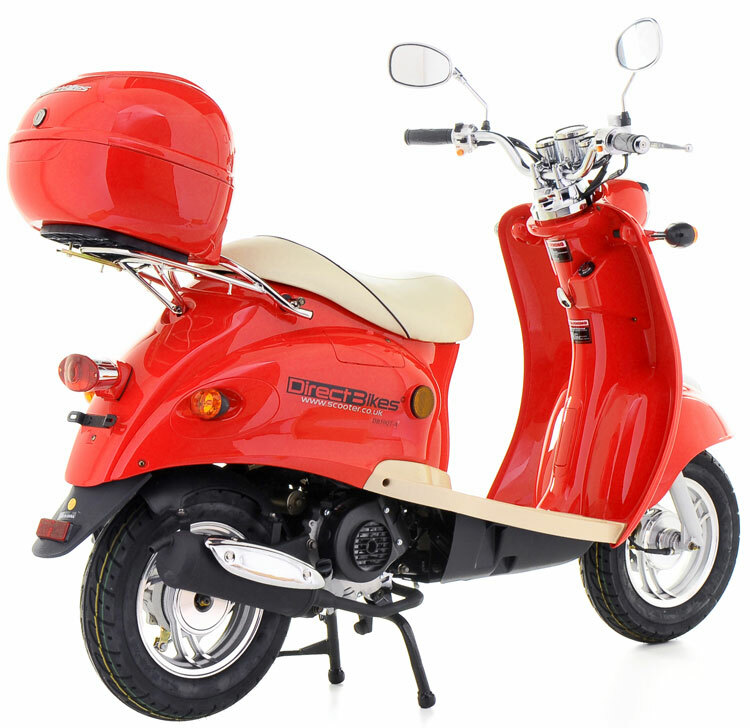 Just fill in your delivery information during payment, and you can rest assured that we will deliver your scooter to you anywhere you are in Bebington.